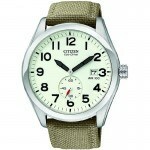 Casio Men’s Quartz Watch WVA-M640D-2AER Review. I’m going to be doing a Casio WVA-M640D-2AER review today. This watch has a nice selection of useful features but keeps to a pretty standard dial design. I’ve reviewed a few Casio watches in the past and they’ve always been quite good and offer value for money. Why not after this check out my top 10 Casio watches under £100. Anyway I’ll get on with my WVA-M640D-2AER review below and you can find out the price on Amazon today, enjoy. This Casio watch is part of their Wave Ceptor series that focuses on precise automatic atomic timekeeping which can also adjust for daylight saving time. I like this simple style they’ve gone with for the dial. It’s nice and clear with not too uch going on. It’s also another solar powered watch which I tend to love just for the clever use of technology and never requiring a battery change. 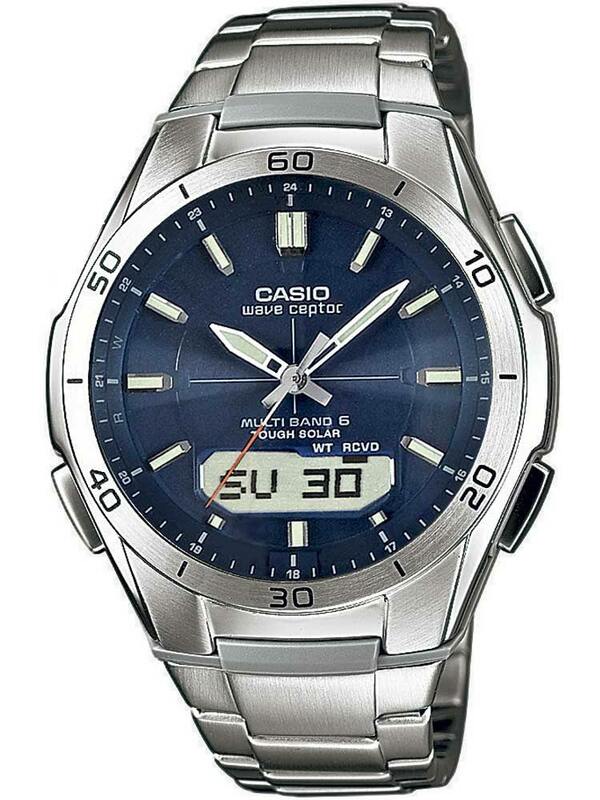 It really is a nice, well build model with good features from Casio. Can’t see you going far wrong with this. As I expected this watch has a hardened mineral glass front. Mineral glass is specially hardened to be able to resist most scratches, and some scratches can even be buffed out if need be. It’s not as tough as sapphire, but it’s fair for this price range and what I thought they should go for. Now looking into the size of the watch it’s all fairly similar to the average watch sizes these days. The Casio casing diameter is 44mm which, even though it’s classed as large, it’s closer to the norm of 42mm. The thickness of the watch is 13mm which again is classed as large too. There isn’t a whole lot to report here, the Casio WVA-M640D-2AER features a fairly standard day and date display. It does have a nice watch strap though, it’s 22mm wide and has a push button release clasp. These I prefer a lot over the standard fold over clasp with safety. I find them a whole lot easier to use. 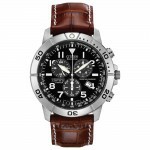 This watch offers great value for money, there is no doubt in my mind about this. You can pay more for a designer watch that may look nicer, but wouldn’t have any of the useful features that this watch has. 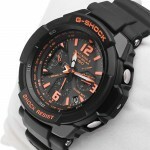 To get a radio controlled, solar power watch in this price range is very good if you ask me. Overall I like what they’ve gone for, it’s a simple yet useful design.